In the 1936 film, "Things to Come", based on the H.G. Wells novel "The Shape of Things to Come", an elderly man watches his grandchildren excitedly opening their Christmas presents and reflects a little sadly on how complex their playthings have become, pondering "I wonder sometimes if all these new toys aren't a bit much." It is perhaps a little passe to lament that "Christmas has lost its meaning" as some are wont to do every Christmas, because the Christmas we know - of yule trees and Santa Claus and presents - is a relatively new phenomenon, driven almost entirely by commercial considerations. The Victorians were first, using it to showcase the gains of Empire when the emergent middle classes sought to keep up with their neighbours in a social arms race. As developing technology permits ever greater mass production, this trend has continued ever since. 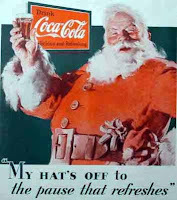 Even Santa himself, based on a 4th century Bishop who lived as a pauper and gave all his wealth to the poor, has been appropriated, his red and white uniform consolidated (though not, as myth claims, actually invented) by the Coca Cola multinational for their mass marketing in the inter-war years. Until we reach this sad pass: perhaps the first time some approving parents have posted on Youtube the reaction of disgust of a toddler when his present of a book is not sophisticated enough to match his expectations: "Books for Christmas...what the heck is that?" What would 1936's grandpa make of it? Of course, Christmas is simply an extreme manifestation of the commercial society we live in, of the mantra that says our value is not within ourselves or our actions, but rather contained in the financial cost of our possessions. An advert currently running shows a woman and her partner admiring their new cooker and units in their amazingly over sized kitchen, worryingly more than a little excited by their acquisition. "That will get the neighbours talking!" the voiceover proclaims smugly as a (woman) visitor appears in the doorway, similarly keen to see the shiny new cookery. "Look!" the voiceover continues, "they're here already!" Perhaps they needed "a new kitchen", but the message is nothing to do with real need. It is about status. And, driven on by the gurus of marketing, this is what sets the pace of our society and our lives, regardless of how miserable deep down it makes us feel. The message is simple: you do not yet have enough; once you have some more, a bigger car, a wider TV, a larger house, a shinier bathroom, then, you will be happy. Except of course you won't. Because in a world where products are made with a deliberately inbuilt obsolescence, sooner or later you will have to replace what you have got. That's of course if you haven't already replaced it because your next door neighbour has a more expensive one. With satisfaction forever elusive, endless gratification is all that remains. All this comes at a price to the environment as we gobble up more and more resources as foretold in Hardin's 1968 masterpiece, "Tragedy of the Commons". With emergent economies such as Brazil, India and China creating between them billions of more consumers keen to clamber up the same frenetic ladder of acquisition and consumption as the West has already ascended, there is no sign of a let up. Chillingly, if they reach the same level as the western economies, we will need four more planet Earths to sustain the unsustainable. But personally, it is not desirable either. There is a plethora of evidence that beyond a level of reasonable sufficiency (one UK survey suggests an annual income of around £30,000/$46,000, a US one £48,000/£$75,000), happiness does not increase with income - indeed, there is some indication of an actual decline. Except of course, the message of the market society is that you can buy more happiness, if you just work a little harder, longer, earn that bit extra...keep going...satisfaction is just around the corner. And if you fail, if you fall into unpayable debt or fall off the greasy pole, then it is your failure, your inability to work hard or smart enough. Your are fated not to be a Master of the Universe, as some international traders style themselves. Should you get depressed about that, of course, there's money in that for someone else too. In a survey of British and American employees on what motivates them most, managers identified pay, benefits and promotion but by contrast, the staff identified security, fairness and control of their own work. However, society works on the basis of the first group of perceptions - capitalism sets us all up, ultimately, in competition with each other over resources and rewards - within our organisations, between them, between countries and cultures. Yet humans are striking not on account of our competitiveness; rather we are marked by our co-operative spirit, our community and our shared humanity. It is not without good reason that when we talk of the humane, we mean the compassionate, the caring, the empathic, the sharing. These qualities are at the heart of our development and progress on this planet - they were core to our origins as evidenced by the social nature of the apes that are our closest relatives. And these traits, too, have been central to the rise of societies of people, interacting and working with each other, caring for one another infinitely more frequently than being in conflict. This is the true, eternal Human Spirit. The economic system we exist under, by contrast, is alien to our innate Nature and the root of much of our unhappiness and struggle with ourselves and with others. For nearly all of our existence, we have worked to different aims and values than profit maximisation and individual self-interest. Not all of these were laudable, but many were predicated on community and shared resources, and a common fate. There is much wrong in our world. But our hopes, and the hopes for the many species whose survival now depends on what we choose to do, lie with our own intrinsic instincts of mutuality and selfless sustainability. For aeons, humans lived with our planet, nurturing its resources for future generations and for times they would not personally live to see. If, perhaps at Christmas, or New Year, or whatever moment of transition is important to each of us, we reflect on what has been, we can still, even now, make a new beginning for us all. The Gulf Stream: does the Government know it has stopped? 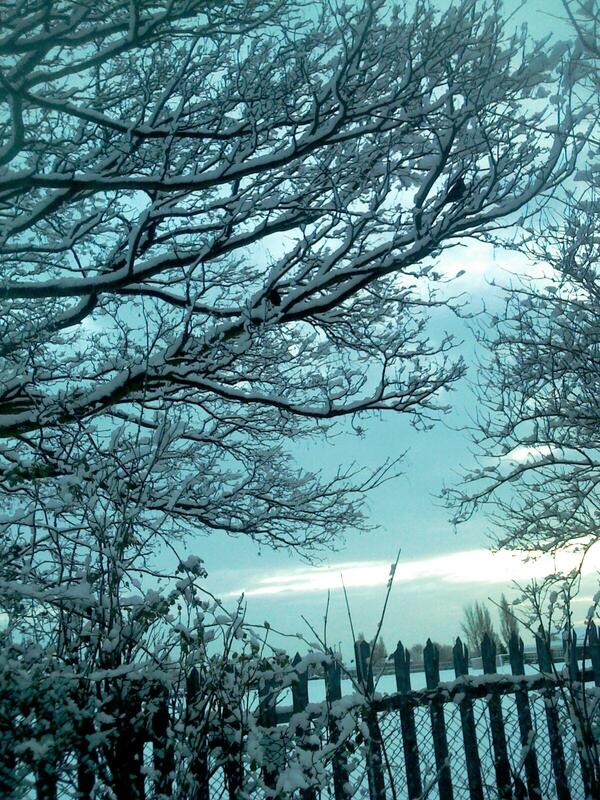 Is there a fundamental shift taking place in our winter climate in northern Europe, and Britain in particular? What does the Government know that it is not quite ready to tell us lesser mortals? British Transport Secretary, Philip Hammond, has been talking in the Commons today about how the transport network has been struggling in the freezing temperatures and heavy snow of the last few weeks. As footage repeated over and over by the media shows, with huge numbers of people seeking to travel in the days leading up to Christmas, nearly every form of transport is under strain. Hammond insists that, with temperatures well below freezing for days on end and a full 5C lower than normal for this time of year, many services have struggled but just about coped. Yet, crucially, he pondered if this cost-cutting Government should now invest in the equipment necessary to counter the impact of regularly severe winter weather as he felt it right to question" if there is a step change happening to our winters." The Chief Scientist is to be asked to comment. Slipped as an aside into a parliamentary announcement on transport, this is on the one hand a startling statement by a Minister of the mainstream parties, but equally not news to those who have been warning about the consequences of climate change for many years. As world temperatures increase thanks to man-made greenhouse gas emissions - and this year has, in spite of the last few days, been the warmest in recent history - global warming is not just about constant heating up. It is also about disruption to and destruction of all sorts of local or regional micro-climates. North-western Europe has benefited for thousands of years from the warming effect of the Gulf Stream, a channel of warm water known as the conveyor (and above it the warm air of the Jet Stream) from the Mexican Gulf and Caribbean that flows across the Atlantic to bring mild weather all year round to the European seaboard. Britain and Ireland especially benefit, greatly assisting our agriculture and reducing our energy costs. Glasgow, for example, is on the same latitude as the Russian capital Moscow, but has enjoyed a much warmer climate. As far up the western Scottish coast as places like Inverary, parallel to icy cities like Estonian Riga, the temperate climate can be seen in the flora and fauna, with even (imported) palm trees thriving. But for years, environmentalists and greens have been warning that global temperature increases could bring the Stream shuddering to a halt. Indeed, in 2003, even the Pentagon postulated the possibility of a shutdown of the conveyor by 2010. The theory holds that, as melting ice from Greenland and the Arctic flows south into the Atlantic, this disrupts the flow of warm weather from the Gulf. The inflow of cold water onto warm increases storms and begins to slow and eventually switch off the Gulf Stream permanently. This in turn leads to what Mr Hammond so matter-of-factly mentioned this afternoon in between the latest on flights from Heathrow and lack of de-icer at Brussels airport - substantially lower temperatures in Britain andn the rest of north-western Europe, ironically as the rest of the world warms. Especially severe winters have been predicted as a result. Hammond made no mention of the cause of this possible step change, so why has he postulated it at all now? We have had two bad winters in a row, but as any climatologist will tell you, that is still weather, not climate. The Minister was silent, but there is very worrying evidence that the Gulf Stream has in fact stopped reaching north European shores in recent months. Some scientists, such as Dr. Gianluigi Zangari of the National Institute of Nuclear Physics in Italy, who has been part of a team monitoring the Gulf Stream for the last decade, have concluded that on 12 June this year, it effectively stopped. It no longer reaches as far as Ireland. Since the late summer and early autumn, he and others have been warning of an early and severe winter in north-western Europe, and this now seems borne out by events. It may be too early to be certain that is has ceased permanently, but it has changed enough to have a very significant impact on people's lives - including ending many of them through fuel poverty, hypothermia and related effects. Perhaps Mr Hammond and his colleagues already know this and are trying to soften us up for the bad news. More likely, it may be that they do not see the significance of all this, but in their ignorant nonchalance, our political masters betray the future. We need to act now, not in another decade or two, to stop climate disruption escalating exponentially. And that will mean some significant changes to how we live. The Big Chill - get used to it? As just one example, yes, it is a shame to see tens of thousands of people crammed into airport terminals, sleeping on the floor and wondering if they will make it home for Christmas. But on a normal day at Heathrow Airport, an aeroplane arrives or takes off every forty seconds: and that is just one airport of thousands round the world. Just how realistic is it to think that we can continue like this? How sustainable does anyone seriously think the level of international travel, global trade and cheap flights really is? Anyone with any knowledge of carbon fuels will tell you we are now passing Peak Oil production - we consume almost forty times more oil each year than we discover and so reserves are depleting rapidly. We need to develop new ways of communicating - the technology is there, but it is seen as complementing travel rather than replacing it - and begin to adjust our expectations. "Local" needs to be the future - for work, for production and distribution, for leisure and relaxation. It does not mean an end to international trade and travel completely, but our desires and the possibilities have to become far more realistic and sustainable, for all our sakes. The only alternative is to carry on partying into chaos. It would be better to have a Government that plans for and encourages that sort of step change rather than looks, so predictably, at new style snow ploughs and de-icing chemicals as the sticking plaster response to this paradigm shift in the way we need to live. World leaders are hailing the agreement at Cancun as a qualified success. With the exception of Bolivia, delegates have signed up to a new commitment to reach agreement on carbon and other greenhouse gas emissions within the next two years. Alongside this, they undertook to provide $100 billion in aid by 2020 and support measures to protect tropical forests and new ways to share new clean energy technologies - a restatement of an earlier, unfulfilled pledge. Cancun is seen as a halfway house to a reviewed/renewed Kyoto Protocol, and the agreement essentially is little more than a commitment to do something unspecified by 2012, when the current, largely unimplemented treaty is due to expire. Any hard decisions have been delayed to the next round of talks in Bonn - the reason for Bolivia's resistance to the half-hearted agreement. The Kyoto Protocol was drawn up in 1997 and sought pledges from the international community to cut greenhouse gases -carbon dioxide, methane, nitrous oxide, sulphur hexafluoride, and two groups of gases, hydrofluorocarbons and perfluorocarbons- by 5.2% against their 1990 levels by 2012. But many of the worst polluters - the USA, China and Australia in particular, either dragged their feet over ratification or refused to sign completely. While some countries did make some progress - the UK under the last Labour Government did take some bold if rather incomplete steps - this was in some cases a result of reduced energy use because of economic recession rather than developing new, sustainable alternative sources such as solar or wind power. In other cases, the Protocol's controversial permitting of carbon trading as a means of reducing emissions on paper (mainly by rich countries purchasing quotas from poor countries that were never going to use their quotas in any case) allowed some to claim reductions when in fact the opposite had happened. In many parts of the world, "business as usual" means that industrialisation has continued apace, with voodoo solutions such as biofuels, carbon capture and seeding the seas with various minerals touted as miraculous answers to the emerging climate crisis. 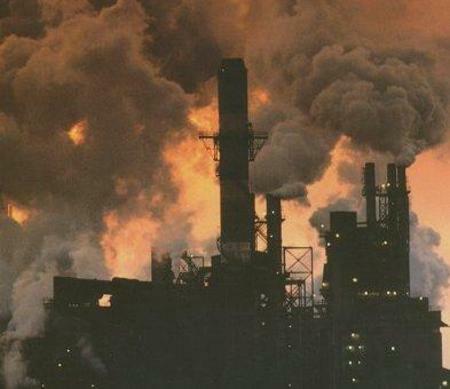 The consequence has been that, as of the end of 2009, rather than effecting a 5.2% reduction in gases, the world's output had increased by 41% since 1991. Of course, with the world in recession following the banking crisis, cynics and fair weather environmentalists contend that climate action will need to wait. It is written off as a luxury we cannot afford. 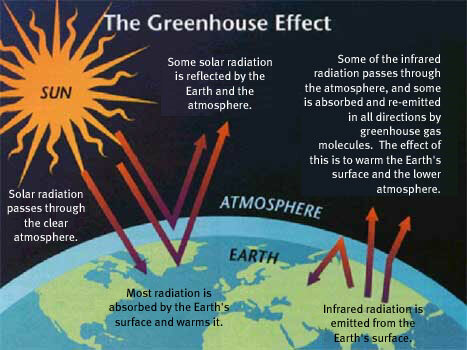 In the UK, the right wing point to the recent cold weather as apparent proof that global warming is a sham, invented by a conspiracy of scientists to gain government grants for their work. But 2010 has been the warmest year on record. More and more evidence shows we are close to a tipping point such as one where warming melts the Siberian tundra to an extent that massive quantities of methane are released into the atmosphere, exponentially increasing the rate by which the planet heats up and in turn triggering more and more feedback points where increases in gases in the air lead to more and more rapid warming. Even conservative estimates accept that it is now impossible to contain global warming to 2C in the next century and far higher increases are likely. 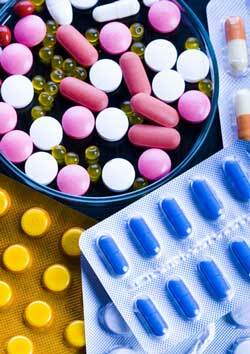 A 5C increase is a distinct possibility in the decades ahead. Nice enough if you have that for a few weeks in the summer in the UK, but apply it worldwide on a permanent basis all year round and global catastrophe results - massive crop failures will induce mass starvation across the planet; hundreds of millions, even billions of climate refugees will result; social conflict and resource wars will burgeon; whole states will fail and some, like the Maldives, will disappear under the rising sea levels. Water scarcities will plague many places, while others will face severe flooding. 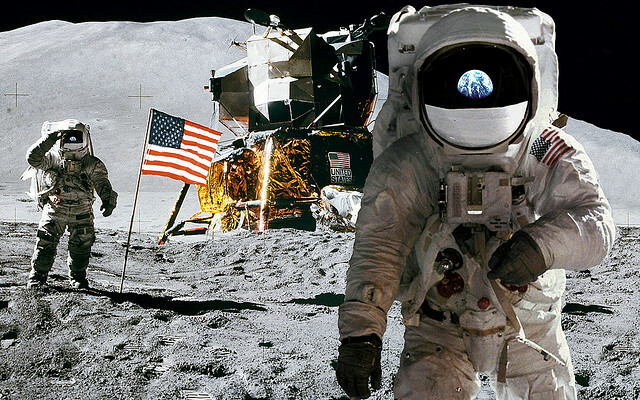 Humanity's ability to survive at any civilised level will be seriously tested. And this will not be in two or three centuries time - rather much of the disruption will begin in the next few years, and many alive now will likely face the worst consequences of our collective failure to act in time. So tackling global warming is no luxury, able to be set aside for a few years while the bankers replenish their coffers. We face the greatest threat in history not to the planet - we are arrogant to use phrases like save the planet; Earth does not need us and will long outlive our kind. The real threat is to our own species, the human race, and the time for action is now. As I write, a Facebook group is holding the Liberal Democrats' Funeral in cyberspace. This follows on from yesterday's debate on tuition fees when the Lib Dem MPs split three ways over the proposed trebling of charges on students' attending English universities (devolution means different arrangements apply in Scotland, Wales, and Northern Ireland). The press today (once it got over the attack on the Prince of Wales car by students chanting "Off with your heads!") has been full of speculation about the implications for the party. Some have suggested the split - roughly between the "Orange Book" free market liberals under party leader Nick Clegg, and more progressive social liberals - is damaging but, now that the debate is over, can be put behind them. Others have suggested that the divide shows that the "real" Liberal Democrats, 70% of whom feel they are left-of-centre progressives in sharp contrast to the decidedly right wing agenda of the Coalition Government, have stood up and will begin to assert some degree of independence or at least a clearer identity for their party. Yet the real damage to the Lib Dems is not that they split - bad though that looks. Rather, the damage is that the proposed changes got through and the Government is unaffected in its further drive to dismantle not only education, but the NHS as we know it and the wider Welfare State, with punitive measures being introduced against disabled people and the long term unemployed. 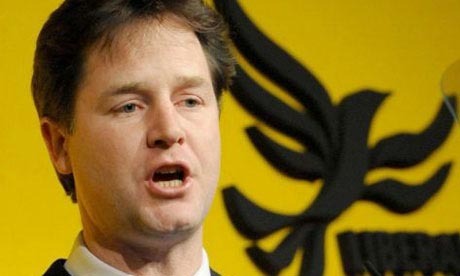 Clegg has suggested that now that tuition fees are dealt with, there are no outstanding disagreements within the Lib Dems and the Coalition will progress with its full programme - cynically, Lib Dem strategists believe that the public will have forgotten all about the tuition fee debacle by the election due in spring 2015. 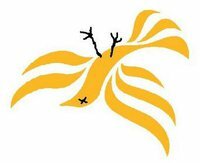 So what we witness now is the real, truly strange death of the Lib Dems as a progressive force in British politics. Those who voted against the tuition fees (or perhaps even worse, the worm tongues who abstained) did so in the full knowledge that the measures would almost certainly pass. Their opposition therefore was a self-serving luxury - so they can insist to students that "it wasn't me guv" while continuing to support one of the most ideologically right wing governments in British history. Lib Dems are now at the heart of a project which is dismantling the legacy of great Liberal reformers like Keynes and Beveridge, and even Lloyd George, who played such seminal roles in establishing the Welfare State that has served Britain so well for the last sixty five years. It is because the Coalition has survived that the Lib Dems should be afraid. Had it collapsed or been transformed into a less cohesive project, they may have been able to reassert some degree of their independence from the Conservatives, to re-establish something distinct about their contribution to the government. As it is, they are now forever sucked deep into the Clegg-Cameron programme, where they provide useful human shields for the worst Conservative reforms, cravenly defending them on dubious grounds of economic necessity. Clegg insists the Lib Dems did not win the election and so have to submit to not getting their policies adopted by the Government. Fair enough, but with barely 35% of the vote and no majority in the Commons, the Tories did not win either - so why do the Lib Dems yield again and again to policies which clearly have a deep blue imprimatur? On a whole slate of issues, they are driving through extreme liberatrian policies which even the Thatcher Government did not attempt back in the 1980s - and increasingly they are not even deploying their previous pleas of financial need. Rather, they simply do what they ideologically want to do. The reason for this adoption of what in American terms would be seen as a pretty neo-liberal stance is straightforward - the Lib Dems are not in essence a progressive force. There are progressives in their ranks, no doubt, but as a party they have long since shed any progressive core in their thinking. Pragmatism in their coalitions and pacts at local level over local issues has perhaps infected them so badly that it has led them to both abandon all principles and attract people to join them who are essentially apolitical. To many Lib Dems politics are viewed as either a career choice or a part-time hobby rather than a belief or set of values about how society should function. For the ambitious, it is an alternative to banking; for the more casual, it can be a toss up between Focus leafleting and the local amateur drama society. Politics is largely absent from their activities or thinking. And so, now that they are no longer in the position of being able to oppose everything, they are like rabbits in headlights, startled and overwhelmed by the choices and responsibilities facing them, clinging to Cameron's coat-tails to give them some sense of direction, however perverse that is set against their claimed progressive identity. Freefalling to 8% support in the latest poll - barely a third of what they achieved at the election in May, a Lib Dem funeral is wholly appropriate. The party is unlikely to disappear completely, but it clearly faces massive losses in elections for the foreseeable future as well as a decline in membership and financial support. The fantasy peddled by Clegg's faction that they will be strong enough to have a further Coalition with the Tories after 2015 will remain just that - unless, as happened in the 1930s and 1940s, the Conservatives give a few favoured Lib Dems a free run in some constituencies in order to project themselves as part of a wider movement than the Tories alone. But more than ever the question that will be most relevant about the Lib Dems will be : "What are they for?" And answer there will be none. "Say Goodbye To Broken Promises" - probably the most ironic and cynical party broadcast in history. The election in Ivory Coast in western Africa last week has descended into a dangerous stand off between the supporters of the incumbent President, Laurent Gbagbo, who nearly all international monitors as well as the national electoral commission agree has lost, and his challenger, Alassane Ouattara. A political crisis threatens to develop into something much more violent - this after a campaign seen as the country's best chance in years of healing itself of its deep divisions. These had been suppressed for nearly three decades since independence, but the ousting of a dictatorship in 1999 unleashed the inherent tensions between the Muslim north and Christian south and they have featured prominently in Ivorian politics ever since. It is a common theme across much of northern-central Africa - the faultline between the Muslim and Christian polities that skirts the northern zones of places like Ivory Coast, Nigeria and, most notably, Sudan. Much as these and other tensions have plagued similarly invented countries, such as Yugoslavia, Northern Ireland and Iraq, African states have frequently struggled to overcome their internal divisions, much to the mirth of western racists and apologists for colonialism who snort that it never happened under us. And yet, if anything is a legacy of colonialism in Africa, even more than in most other places in the world, it is the ludicrous system of states that were left behind by the retreating European powers after 1945. If the winds of change were blowing, they didn't blow quite hard enough to change the borders of what were European imposed administrative divisions into the genuine geographical boundaries of nation states. Consider Zimbabwe - there, Shona were shoe-horned into a state with the Ndebele, even although the latter had much more in common with the people of Botswana to the west. Left to their own devices, a very different map would have emerged. Nigeria, scene of the dreadful Biafran war, was similarly an artificial entity, created from at least three major and many smaller ethnic groups - the Muslim Hausa-Fulani in the north; the Christian Yoruba and Ibos in the south. Different cultures, different languages, different histories - their sole commonality was to have the same former Colonial Master, Britain, who had found it useful to lump them together into "Nigeria". The Sudan was forged by British militarists, hellbent during the European "Scramble for Africa" at the end of the 19th century, to create a Red Corridor from the Suez to the Cape, so that you could travel from the north to the south of the Continent without leaving British territory. By bloody violence and conquest, they succeeded and for over five decades the Union Flag flew over the largest area of Africa, followed not far behind by the French Tricolour and the personal flag of the King of Belgium in the Congo (setting of Conrad's appropriately titled novel, "The Heart of Darkness"). When the Europeans bowed to the growing demands for independence in the 1950s and 1960s, they left behind poorly educated populations - when Belgium left the Congo, for example, in 1961, there were just 6 graduates in the entire country - hamstrung by the continued ownership of much of their land and most of their natural resources, especially minerals, by private companies from their colonial Mother Countries. With interference by these companies and their governments to ensure local regimes remained friendly, democratic institutions soon collapsed as military regimes took power and years of instability and corruption followed. 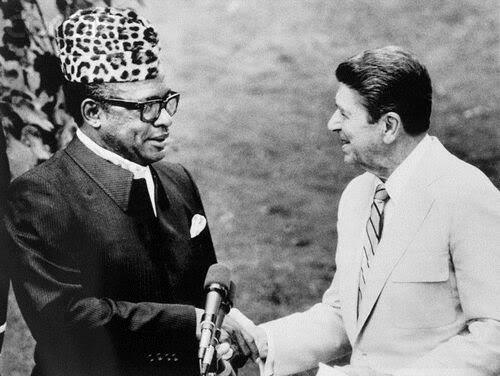 Men like Mobutu Sese Seko in Zaire (formerly Congo), the endless succession of military regimes in Nigeria and latterly the corruption of the Mugabe administration in Zimbabwe conspired to ensure that Africans in whole swathes of the Continent were denied justice and freedom or the ability to develop their potential. The white supremacy in apartheid South Africa prolonged this, sponsoring terrorist movements like the UNITA in Angola and FRELIMO in Mozambique, undermining left wing governments that, on the whole, sought African solutions to their problems. Indeed, in the last 15 years, democracy has swept Africa much as it had previously swept South America. It would be wrong to imply that good governance exists everywhere - the African Union itself has called for the development of far stronger institutions and much better behaviour by political leaders. But democratic rule is asserted now in the vast majority of African countries and Ivory Coast is as notable for its crisis being political in its nature as it is unusual now for an incumbent regime to refuse a transfer of power following a vote by the people. But the tensions alluded to earlier remain - most African states would not have developed naturally into their current guises. That none of them has ever seized any territory from their neighbours is a testimony to their inherent common sense and restraint. Sudan, now embarking on a popular referendum which is likely to see it divided into two new states - a Muslim north and Christian south - may be showing a peaceful way forward. For just as it should be hoped that different ethnicities can and should learn to live together in peace and co-operation, this can only be achieved willingly and over time. It cannot be borne from the bitter, violent and rapacious legacy of Colonialism. And for those in the West who might sneer, let them consider a few things - our own struggle to make something of a multi-national, multi-cultural institution, the EU, is stuttering towards collapse amidst the current economic crisis. 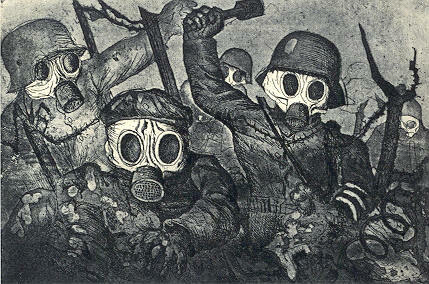 As for bloody tribal wars, surely the worst wars of all were the two that plagued Europe's tribes in 1914-18 and 1939-45? Just imagine, had some African Colonial Power lumped the south of England in with the north of France, and eastern France with western Germany and told them to live together as new, independent states - would they have lasted a week, never mind the fifty years that many African states have now existed for? Africa was the cradle of humanity - in the final analysis, every human walking this planet is of African origins. All the more appalling then that this, our beautiful Mother Continent, and its inhabitants have been ravaged by slavers, "explorers" and armies with total disregard for any spark of humanity. Since independence, neo-colonialist covert operations, bribery and big business have continued the exploitation and through no fault of its own, Africa is now on the frontline of the climate change crisis. Europe has no right to lecture Africa. No right to feel superior. We have only a duty and responsibility - to apologise and make reparations for the mess we made.